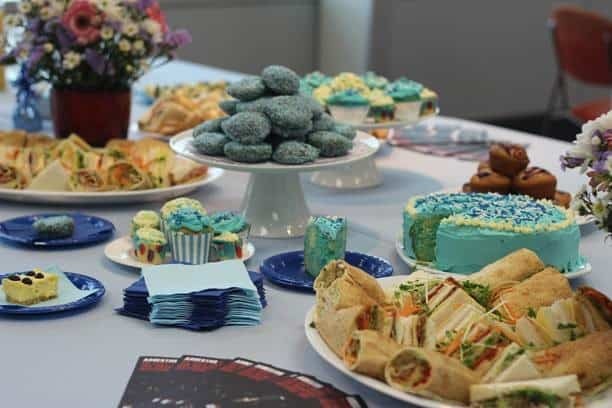 November is Asbestos Awareness Month and we would like to encourage all our supporters of the Asbestos Diseases Research Institute to raise awareness of the dangers of asbestos in and around the home, the workplace and the community by holding a Blue Lamington fundraising event. How to Host Your Blue Lamington Drive! Choose a date and time during Asbestos Awareness Month: November 2017. Invite your work colleagues, family and friends to come along to a morning or afternoon tea to enjoy some Blue Lamingtons and learn about the dangers of asbestos in and around the home. Share asbestos awareness and fundraising with everyone you know and invite them to attend or sponsor your Blue Lamington Drive. Ask guests to bring a gold coin, or more, to help support the Asbestos Diseases Research Institute – the more money raised the more research we can conduct! All funds raised, no matter how small will help to make a difference to those affected by asbestos-related diseases. The rate of malignant mesothelioma is expected to continue to rise for at least the next 20 years. Your donation can help us fight this disease. Click here to learn more or click here to make a secure credit card donation.